QUESTION: Through our Facebook page, Scott Brooks of Athens asked what the Athens Economic Development Corporation was doing to bring jobs to the city, as opposed to all the restaurants currently going up around town. SOURCE: I sat down with Athens Economic Development Corporation President and CEO Brian Malone to discuss Scott’s question. ANSWER: Malone was quick to agree regarding the AEDC’s true goal. “We definitely agree that having good jobs for people to be employed at is our main purpose,” he said. Generating jobs is one of those things “easier said than done” however, and Athens is in competition with thousands of communities around the country for those jobs. To try and get an edge, the AEDC went through a strategic planning process with TIP Strategies of Austin last year. Several times during our discussion, Malone referenced things “the community told us,” or strengths and weaknesses learned during the study. Malone said there are three main ways to build economic growth: entrepreneurship, working with existing industry, and recruiting new industry. 1. Entrepreneurship: Malone said one of the things to come out of the focus groups that were part of last year’s study was the need to help local people start new businesses. To encourage that, the AEDC joined with the Trinity Valley Community College Small Business Development Center to offer a six-week course on going into business. The project started this month and at the end of the course, one business is going to earn a $30,000 grant. That could include new equipment or buildings, or expansion programs. As an example, Malone pointed to programs with Schneider Electric, where the EDC board agreed to help the company based on jobs created, or OTE International, where the board provided a low interest loan and employment incentives. In the past, the board has helped Argon with its roof. “That helps keep that business here,” Malone said. “Investing in those businesses is something that we’ll look at,” he added. 3. Recruiting: “Everybody loves recruiting, but it is also one of the hardest things to do,” Malone said. Athens is not only going against other communities in the region or state, but the entire country. 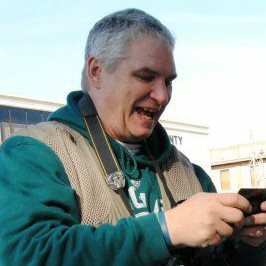 “It is a very competitive situation,” Malone said. Malone has been to California three times in the past year trying to lure business to the city, twice as part of a delegation from the Northeast Texas Economic Alliance. “You have to be active in terms of trying to create a pipeline of projects, and that’s really what we are trying to do,” he said. One real drawback for Athens, which was pointed out in the study, is a lack of developed sites. That doesn’t mean Athens can’t succeed. Extreme Engineering is a company relocating to Athens, and the sports recreation equipment manufacturer expects to bring 33 jobs to the city. Two Athens ISD administrators were promoted Friday, Feb. 22. Dr. Janie Sims was named the Assistant Superintendent, according to Superintendent Blake Stiles. Sims had been serving the district as the Curriculum Director since 2011. Prior to 2011, she served the district in other administrative capacities including as principal of Athens Intermediate and principal of South Athens Elementary. 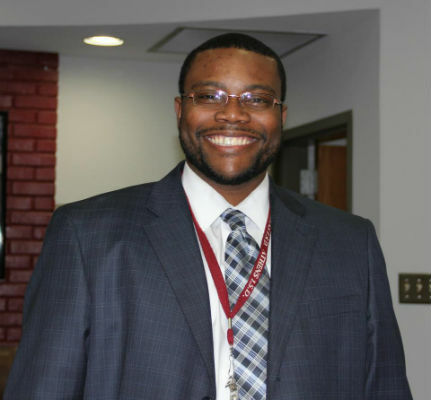 Also moving up is Winston McCowan, who was named the principal of the Middle School. McCowan has served the district since 2011 as an Athens High School assistant principal, and recently as the interim principal at Athens Middle School. The Athens High School girls varsity powerlifters competed at the Fairfield Invitational meet Thursday night, finishing 6th. CeCe Monmouth finished 2nd with a total lift of 790 pounds. This placing and lift total sealed her a competing position at the Regional meet. She is currently ranked 8th in the region. Wendi Pacheco finished 3rd with a total lift of 535 pounds. She also earned a position at the Regional meet in the 114-pound weight class. She is currently 8th in the region. Ingrid Castaneda finished 3rd with a total lift of 520 pounds. She will be competing at the Regional meet. She is ranked 9th in the region right now. Melissa Rodriguez will go to the regional meet as an alternate. She is ranked 11th. The regional meet is at Wills Point Friday, March 1. Americans love their flag! Texans love their flag! The members of the Daniel McMahon Chapter of the Daughters of the American Revolution love their flag! 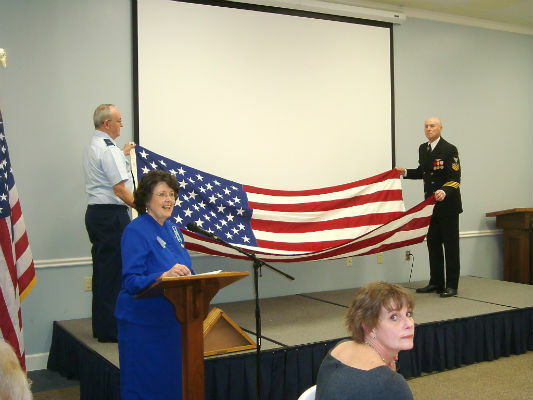 At their Feb. 20 George Washington Tea, held at the Fellowship Hall of the First Presbyterian Church of Athens, members and guests showed their love for Old Glory as they enjoyed a program concerning the American Flag by DAR member Marsha Head. In her presentation, Head discussed the flag and explained the meaning of the folding of the American Flag at military funerals. She was assisted with a folding demonstration by two local veterans, each with many years of military service, Billy Burford, career Air Force retired and Perry Holcomb, career Navy retired, as they slowly proceeded through the 13 separate folds while Head explained each of these folds to the large crowd in attendance. Outstanding area students were honored for their essays and their good citizen behavior by DAR member Claire Grant as she presented certificates and monetary awards to each of the winners.